I remember hearing about The Curious Incident of the Dog in the Night-Time around 2012. That it was London's great hit! Planning to take a trip over there two years later, I was so excited to finally see the show that everybody was talking about. And then...the theatre where the show was taking place, caught fire. I was devastated. A year later, Mexico City had bought the rights to the play and made the adaptation to Spanish, which started touring pretty soon. Finally I could see it! 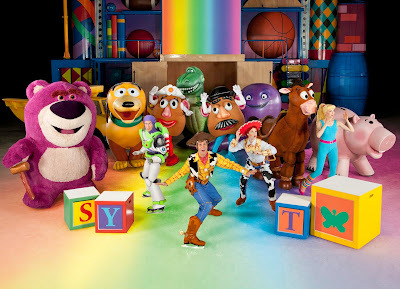 I was blown away by the set design and the plot itself. Christopher a 15 year old boy with Asperger Syndrome an Autism Spectrum Disorder. 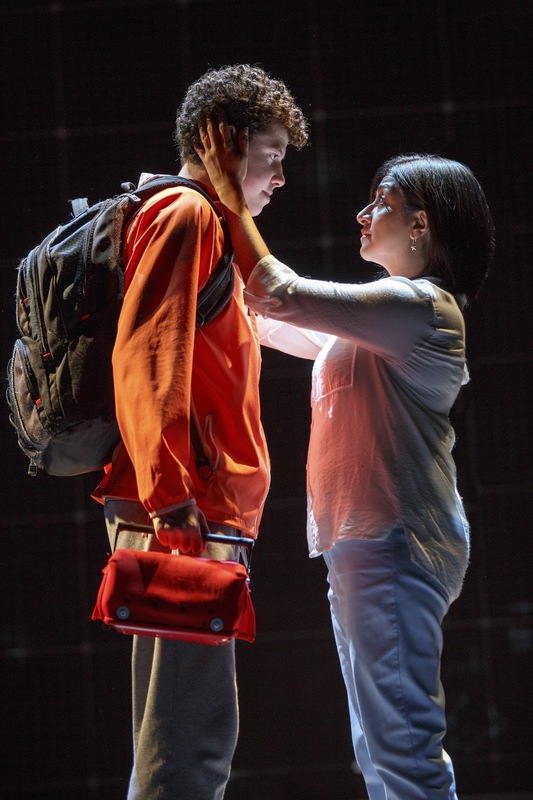 The guarded boy played majestically by Adam Langdon is brilliant and loves numbers. He gets terribly upset when the neighbors dog Wellington, is killed with a garden fork. He sets out a quest to discover who the killer is. 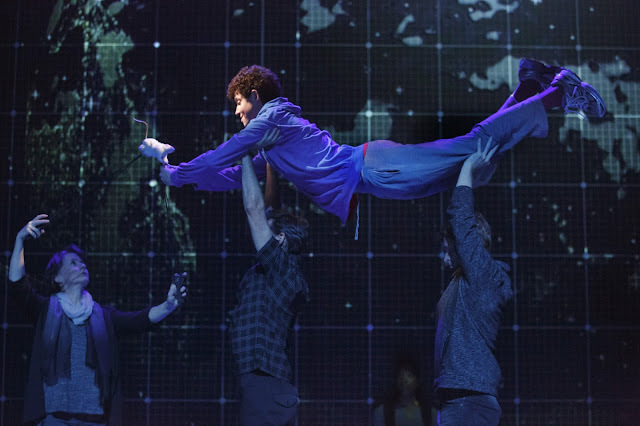 The US Tour of Curious, had its Costa Mesa premiere at Segerstrom Center for The Arts this Tuesday. Proving to new and returning audiences, why it is still a mega hit. Written by Simon Stephens, adapted from Mark Haddon's best selling novel, directed by Tony Award winner Marianne Elliott (War Horse). 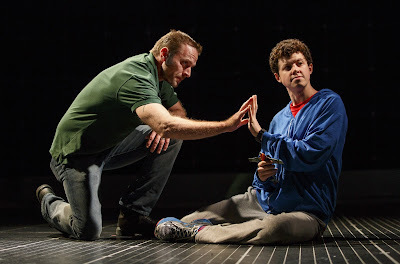 I have read negative reviews about Mark Haddon's novel and that it is misguiding in regards to Asperger's. I cannot talk much about the subject because I have had no experience with the syndrome. What I can tell you, is that, from an audience perspective that knows nothing, has no clue about how to handle being in a situation with a child with ASD, I would consider that, more than misguiding, it brings a very sensitive approach. 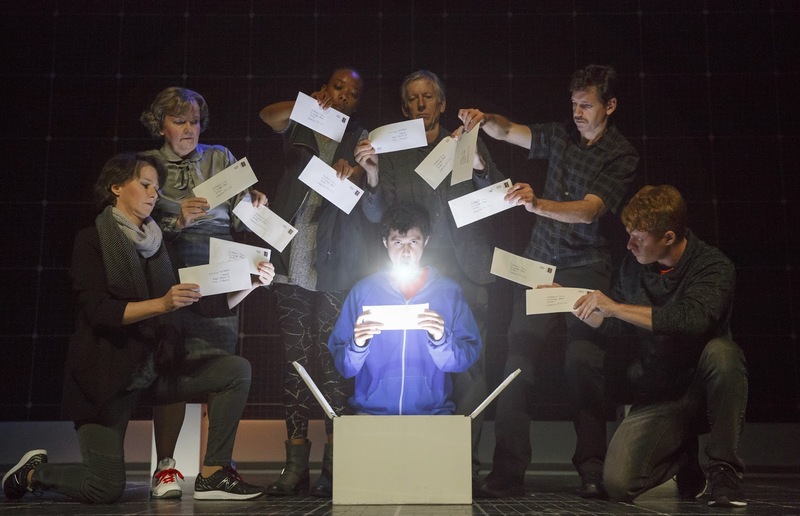 In the show, we see how Christopher perceives life illustrated with lighting effects by Tony Award winner Paule Constable, in a squared design that lights up in different colors from time to time and the different squares open to reveal props and even transform into tables and chairs. All rounded out with a perfect beat by Adrian Sutton and sound by Ian Dickinson for Autograph. The production is designed by Tony Award winner Bunny Christie and Tony Award winning video designer Finn Ross, choreography by Scott Graham and Olivier Award winner Steven Hoggett for Frantic Assembly. It is a very physical show indeed.The choreography in this piece is key. In order to emphasize how Christopher feels, the movements have to be on point. Imagine, the beat with the movement and the lights going off, all in perfect order. It is just mind blowing. I am not one to tell you the whole story because what is the point of that? I told you the plot and why it is amazing, now you have to go and see for yourself. With that, I will give you more input on the show itself. The cast stars Gene Gillette (War Horse) as Ed, Felicity Jones Latta (Metamorphoses) as Judy, Maria Elena Ramirez (Fish in the Dark) as Siobhanand Amelia White (The Heiress) as Mrs. Alexander. The ensemble includes Brian Robert Burns (War Horse), Francesca Choy-Kee(Disgraced), Josephine Hall (Les Liaisons Dangereuses), John Hemphill (School of Rock), Robyn Kerr(Dark Vanilla Jungle, Kathy McCafferty (Dada Woof PapaHot), Charlotte Maier (Our Mother’s Brief Affair),Tim McKiernan(War Horse), J. Paul Nicholas (Blood and Gifts), Tiffany Rachelle Stewart (Curious Incident/Broadway), Geoffrey Wade (Translations) and Tim Wright (Curious Incident/Broadway). Benjamin Wheelwright( Curious Incident/Broadway) will play Christopher at certain performances, Saturday Matinee, Sunday evening and one more I think. Awards including Outstanding New Broadway Play and the Drama League Award for Outstanding Production of a Broadway or Off Broadway Play. 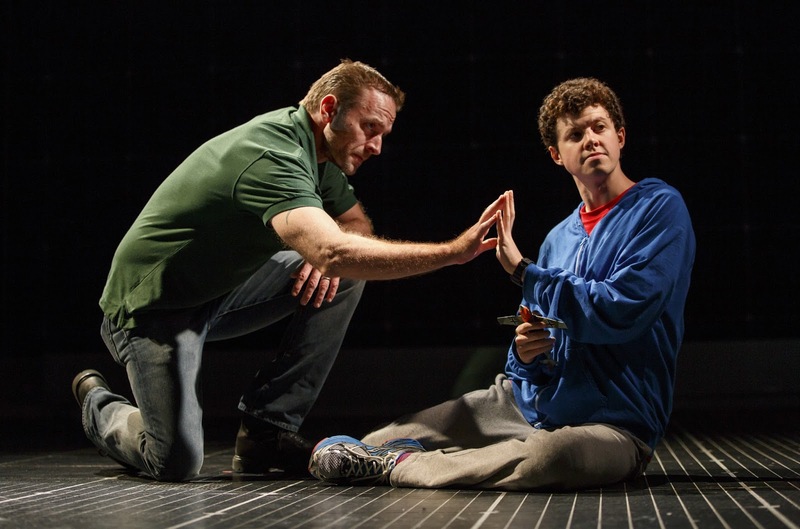 The production was named among the Top 10 productions of 2014 by amNY, Associated Press, Bergen Record, Broadway.com, Broadway Insider, Chicago Tribune, Daily News, Deadline, Entertainment Weekly, Hollywood Reporter, Huffington Post, New York Magazine, New York Post, NY-1, The New York Times, Playbill, Star Ledger, Time Magazine, Time Out New York and Towleroad. 2014 at the Barrymore Theatre. Transferred to London’s West End following a sold-out run at the National’s Cottesloe Theatre in 2012. 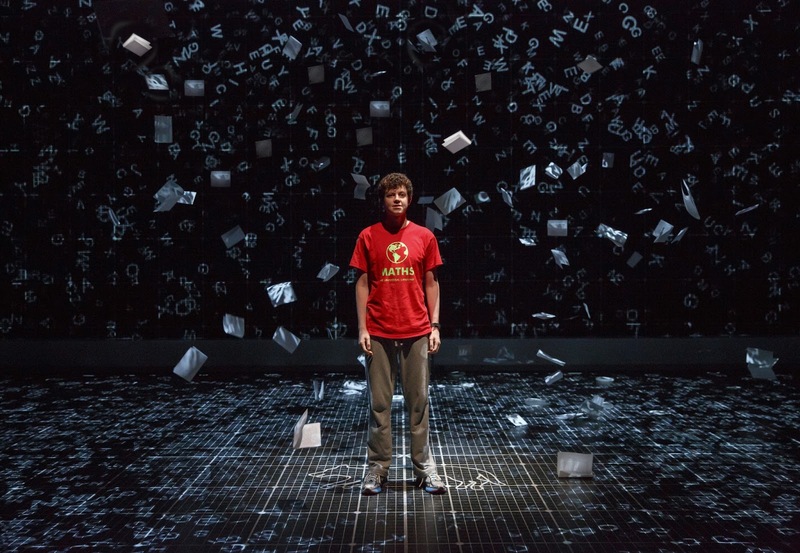 The production received seven 2013 Olivier Awards, including Best New Play and played more than 1,600 performances during its run at the Gielgud Theatre in London. A UK and Ireland Tour launched in 2014 and a second tour of the UK and Ireland began in January.